Induction into the National Polish American Sports Hall of Fame is just the latest in a long string of accomplishments attained by Ann Meyers Drysdale. Although her athletic career is over, she continues to break barriers in the world of sports. Ann Elizabeth Meyers was born on March 26, 1955 in San Diego. Ann’s father was born Robert Majorowski in Milwaukee, which he later changed to Meyers. He played basketball at Marquette in the 1940s, playing point guard and serving as captain. He played for a time with the independent pro basketball team the Milwaukee Shooting Stars, and also tried out for the Chicago White Sox. Ann’s mother, the former Patricia Burke, was also from Milwaukee and attended Marquette. As Ann pointed out in her biography, You Let Some Girl Beat You? She spent most of her childhood in the Chicago area, “in the Catholic school system outside of Chicago in Wheaton, Illinois.” The family later moved back to California, where Ann and her 10 brothers and sisters were encouraged by their parents to play sports. When she was 13, she joined the AAU basketball team that her older sister Patty played on. Often playing against boys, Ann developed into an outstanding talent. She led her high school basketball teams to an overall record of 80-5. However, she was an all-around athlete who also lettered in softball, field hockey, tennis track, volleyball and badminton, earning 13 Most Valuable Player awards. It was in basketball that she garnered the most attention, and as a senior she became the first high school player to earn selection to the national team. 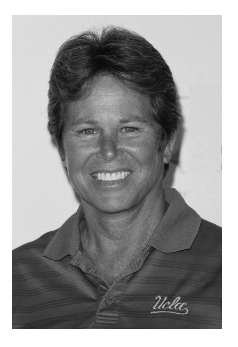 Ann went to UCLA to play basketball in 1974, the first woman to get a full scholarship from a Division I school. Her brother David was a senior at UCLA at the time. He was a power forward on the men’s basketball team that won national titles in 1973 and 1975, and was a consensus All-American. As a freshman Ann led UCLA in scoring, rebounding and assists, and was the only freshman named a Kodak All-American. She went on to become the first player named to the All-American team for four straight years. In 1978 she led the Bruins to a national title and won the Broderick Cup as the nation’s outstanding woman athlete, capping off an incredible collegiate career. Among her accomplishments, she was the only player in school history to record a quadruple double with 20 points, 14 rebounds, 10 assists and 10 steals in a single game. For four straight years she led UCLA in rebounding, assists, steals and blocked shots, and graduated holding 12 of 13 school records. 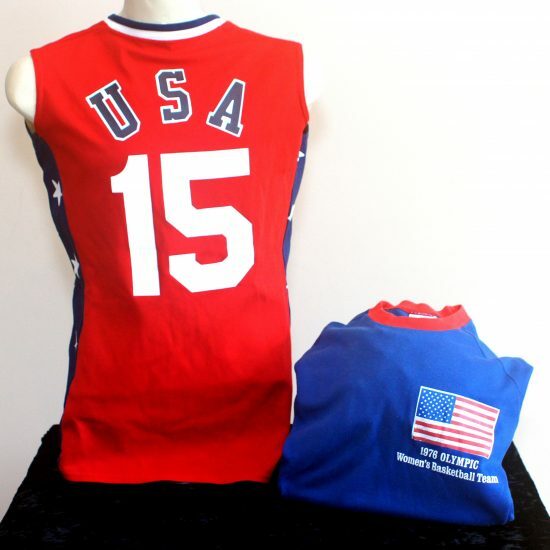 Ann also continued to play for the US in international competition, and was a member of the squad that won silver in the 1976 Montreal Olympics in the Olympic debut of women’s basketball. 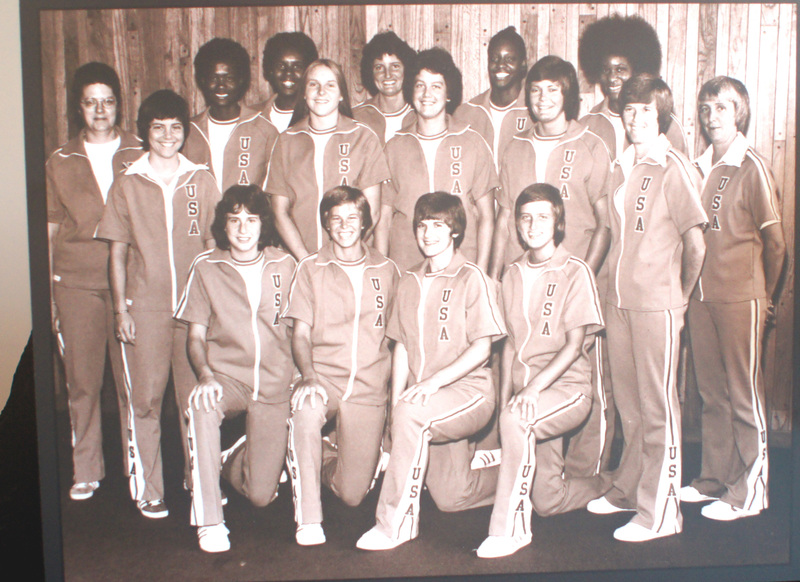 She also played for the US team that won gold at the 1979 FIBA World Championship. 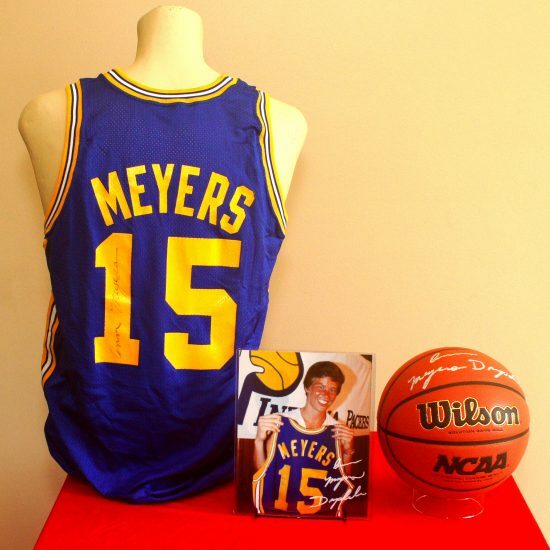 In 1978 Meyers was drafted by the Houston Angels of the Women’s Basketball League with the top overall pick, but she decided not to sign with the team. 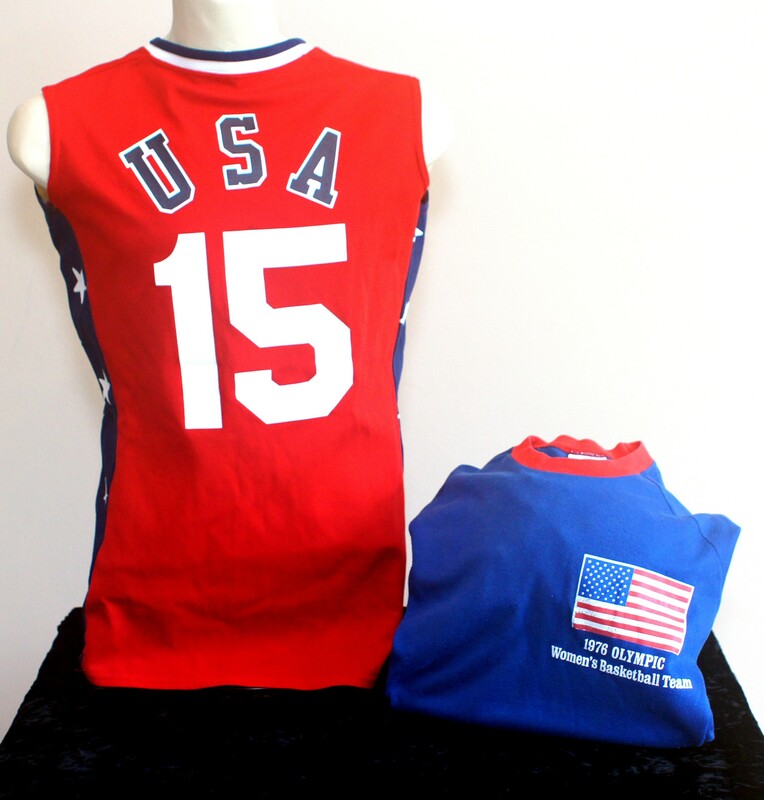 Back then only athletes who maintained their amateur status were allowed to compete in the Olympics, so Ann played AAU ball and earned AAU All-American recognition. Ann gave up her chance to return to the Olympics in 1980 (which, as it turned out, were boycotted by the US). She instead took advantage of an historic opportunity by accepting a free agent contract from the NBA Indiana Pacers, becoming the first women to sign with an NBA club. It instantly made Ann Meyers a national celebrity, and created a lot of negative feedback as well. Many thought that it was a publicity stunt, but Ann Meyers had every intention of making the team. With the work ethic and intensity instilled by her parents, she was ready for the challenge. Unfortunately, the NBA apparently was not. By all accounts, Ann acquitted herself well on the court, and certainly could have contributed to the Pacers. As assistant coach Jack McCloskey put it: “Fundamentally, she’s better than half the guys out there.” In addition, her presence on the roster would have boosted fan interest in the Pacers and the NBA. Despite the disappointment Ann said that trying out for the NBA was “the best decision of my life.” She pointed out that “to achieve greatness, you can’t be afraid to fail.” Still, her effort inspired many young female athletes to strive to break barriers in sports. Ann’s brother Mark, who negotiated her contract, included a provision that guaranteed public relations and broadcasting work with the team. Ann became one of the few women working in sports broadcasting at the time, and the first woman to call an NBA game. 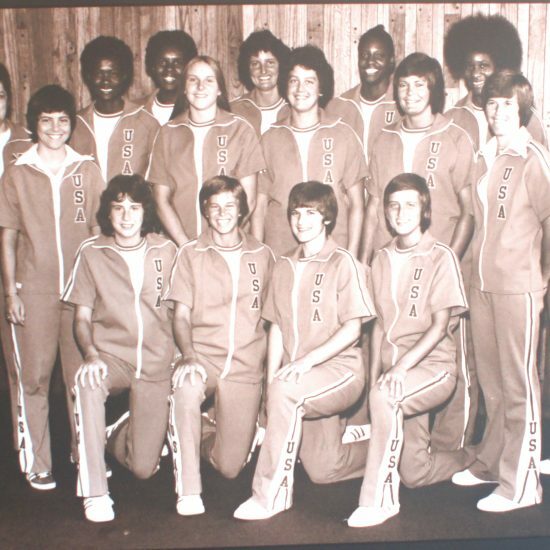 After a few months she decided she wanted to return to the hardwood and joined the New Jersey Gems of the in the Women’s Professional Basketball League, earning co-MVP honors in 1980. Meyers also had a lot of success when she participated in ABC Sports’ Women’s Superstars, a decathlon-style competition that matched athletes from various sports. If there were any doubts about her athletic ability, she silenced them then. In her first competition in 1979 she finished fourth, and went on to finish first in the next three seasons of the show. It was on the Superstars set that Ann met Don Drysdale, a Hall of Fame pitcher turned broadcaster. They would eventually marry in 1986. After the women’s basketball league folded Ann, with Don’s encouragement, got more involved in broadcasting. It was a heavily male-dominated field at the time, but Ann rose to the top. For many years she served as a network television sports analyst for ESPN, CBS, and NBC, and was the women’s basketball analyst at several Summer Olympics beginning in 1984. She covered the WNBA for ESPN. Meyers Drysdale also served as a basketball executive with the WNBA’s Phoenix Mercury and the NBA’s Phoenix Suns, and currently is vice president for the Mercury and Suns. She is also a member of the Suns broadcast team. She is quite simply, one of the most honored and important women in the history of American sports. Ann was inducted into the Basketball Hall of Fame in 1993, the first woman inducted. She was a charter member in 1999 of the Women’s Basketball Hall of Fame, and was in the inaugural class of the FIBA Basketball Hall of Fame in 2007. Time magazine named her one of the ten greatest female athletes of all time. She was received many honors for her off-the-court work, including the Ronald Reagan Media Award from the United States Sports Academy in 2006. Looking back on her life, Ann has said that she would not change a thing, except for losing Don to a heart attack in 1993. Together they had three children.